Choose an article, select your desired color and size and add it to your shopping cart with the button "add to chopping cart". To view your shopping cart click the icon on the right side in the header. Now you have the possibility to view your chosen articles as well as the availability of these products. You can also change your desired amount of the articles or remove from your shopping bag. For ordering the goods in your shopping cart click at "checkout". If you're ordering for the first time in the bruno banani online store, you can register as a new customer. Please fill in all mandatory fields. Your data will be saved so that you only have to login at your next purchase. Of course we implement effective Privacy Policies and your data will under no circumstances be disclosed to third parties. 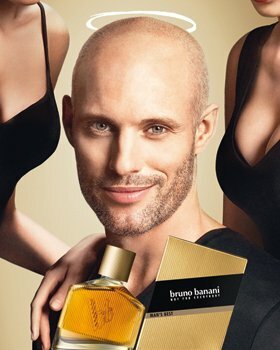 You can also order in the bruno banani online store without a registration. Please check therefore the box “Don't create customer account”. Please fill in all mandatory fields and click then on “continue”. Please choose your method of payment and click "next". By accepting our terms and conditions and clicking “send order” you complete your purchase. Immediately after receipt of your order we send you an email as acknowledgement of receipt. As soon as we shipped your order you'll get a delivery confirmation via email as order confirmation. With this the contract of purchase has been concluded. Of course you can order all articles shown at the bruno banani online store by phone. You will reach our Customer Services team Monday to Friday from 9:00 to 17:00. You want to order via email? No problem! Send your order with the article name, desired colour, required size, quantity and your billing address as well as your delivery address at order@brunobanani.com. At the bruno banani online store there is no minimum order value. 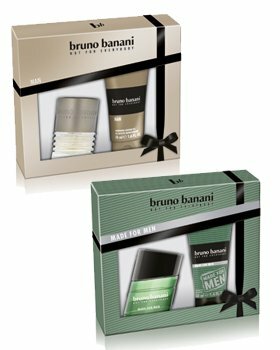 bruno banani shows only available products in their online store. If only one size or colour of an article is sold out, the product is shown anyway, but the outsold size cannot be ordered. But you have the possibility to get informed by email as soon as the outsold size is available again. Therefore please select your desired colour as well as size and enter your email address. Please note, that not all of our articles will be available again. After three months we will delete your inquiry. You can change or cancel your order as long as your parcel hasn't been picked & packed in our warehouse. Please contact therefore our Customer Services by phone under +49 (0) 7961 - 969 86 99 00. Is it too late for a cancellation you can return within 14 days after receiving your order (see Widerrufsbelehrung). More information about return shipments you'll find here. You can view the status of your order all the time in "my account". Please login with your email address and your password in your account and go to the menu item "Orders". There you can check the status of your order. Here you get to your account.